Home / Social Policy / Italy: an EU Founding Member at a Crossroad? 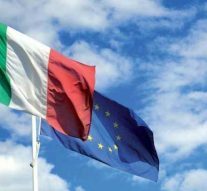 Italy: an EU Founding Member at a Crossroad? Italy’s 2018 elections defined a complex political situation that threatened to provoke a severe political and institutional crisis. After 3 months there finally is a new government in Rome, with a coalition composted of 5Stars Movement and Lega: Giuseppe Conte is the Prime minister. But just few days before the first of June, when the new government finally sworn in, the 5–Stars Movement’s leader Luigi Di Maio claimed that President Sergio Mattarella should be impeached after he rejected the nomination of Paolo Savona as Economy Minister. “Let’s be clear then, what’s the point of going to vote since governments are decided by the credit–rating agencies and the financial lobbies,” asserted Di Maio on his Facebook page. This strong reaction from the Movement was sparked by the Head of State Sergio Mattarella first refusal to give the go ahead to form the government 5Stars–Lega. The non–acceptance was openly motivated by the stance on Euro and on public debt of the proposed Minister of economy, Paolo Savona. Savona was then shifted to the role of Minister for the European policy in the second attempt, the one accepted by President Mattarella mainly as a last chance to avoid new elections. Anyway, this situation threatened to spark a crisis related to critical issues for the future of Italy and for its membership to the Eurozone. “I agreed to all the ministers except the Economy’s Minister,” Mattarella explained from the Quirinale Palace. “I asked for a figure who would mean not risking an exit from the euro”, added Mattarella. The impeachment procedure was then dropped by the 5Stars Movement, even because not shared by the leader of Lega, Matteo Salvini, who called instead for new elections as soon as possible. It has been a historic moment for Italy, with a clear clash between two visions of the current situation. On the on side, those who claim that Mattarella stopped the “government of change” because of the impositions coming from Brussels (or even from Berlin and Paris) and from the financial markets. On the other side, those who think that the President’s decision was right because the issue of the budget and euro are not imposed from abroad but deserve a rational and deepened debate. Of course the first thesis has now failed, because in the end the government was formed in Rome, but the strength of the accusations could not be left behind without a brief reasoning on the root causes of this “populistic” reaction. The government’s plan by Five Star’s Di Maio and League’s Salvini has spooked European Union partners and financial markets with pledges for fiscal expansion and tax cuts challenging EU budget rules. The Italy–Germany 10–year yield spread reached its maximum since 2014. That’s why Italy’ economy is deeply interconnected with the other EU States and should stand by the framework of Brussels rules on budget. As highlighted by the outgoing Development Minister Carlo Calenda, Paolo Savona was a too divisive choice as a Minister of economy, as he asserted that he wants to get out of the single currency and that the default of the Italian public debt is a right approach. According to Calenda, those stance “give a signal” but this signal – he continued – is not for Europe, of which “I do not care, because the EU, if you exceed the deficit, does not do anything to you. It opens an infraction procedure with a zero result”. The problem, he explained, is given by those who buy the Italian debt: when they hear people saying that you might leave the Euro and you might need 50 billion Euro more in public expenses, they get scared. And he added that Mattarella said one thing: he has a duty to protect the savings and if it will be formed a government that does not reassure the market, who loses is the people who save, not the elites”. This “realistic” position is opposed by the 5Stars Movement and others populist parties, because it entails that the market rules and EU are more important than the Parliament majority. It could be highlighted that many EU Member countries have high public deficits and, if it is true that austerity is not always the solution, it should be wise to think carefully before taking drastic changes of approach that could on the contrary lead towards a worst case scenario. In the EU, many Countries have problems with public debt and deficit. Even France had to work hard in this years. The EU Commission recently declared that it has cut its public deficit to an acceptable level and formally proposed that a meeting of EU finance ministers in July take Paris out of the “excessive deficit procedure” opened in 2009, at the beginning of the Eurozone debt crisis. The Commission foresees that France will have a deficit of 2.6 percent of Gdp in 2017, below the EU’s 3 percent limit. Thus, only Spain remains currently subject to the procedure. Italy’s recent governments have already worked hard on lowering the country’s debt by acting on its public deficit. At the beginning of May the European Commission estimated that, if nothing changes economically, Italy’s deficit/GDP ratio would be 1.7 percent in 2018 and 2019, thus recording big drops from 2.3 percent in 2017 and 2.5 percent in 2016. But this is a long path and Italy’s public debt is still at 130,7 percent of GDP this year, the highest ratio anywhere in Europe apart from Greece, while EU regulations suggest that the ratio should stay below 60 percent. As highlighted by the Oxford Economics Institute, basic income, drastic reduction of income tax and pension reform proposed by anti–establishment Five Star Movement and the nationalist Lega would cost €100 billion per year. This would lead to a rise in the country’s deficit/GDP ratio, which would increase again even to 5,5 percent in 2019, and consequently also in the public debt. However, M5S leader Luigi Di Maio and League’s head Matteo Salvini have made it clear that they feel no need to respect European commitments in the implementation of their programs. To conclude, we can say that 5 Stars–Lega didn’t succeed in presenting to the Head of State a sustainable economic program, at first, placing Mattarella before two radical alternative: remain a key partner of the EU and of the Eurozone, trying to change the common project with credibility inside the Union or leave this historic geopolitical role to follow a new path without a clearly defined framework. In the end the government was formed, but the crossroad for Italy is still there: the credibility of the new executive in Rome still needs to be achieved and how it will deal with the EU could be one of the key units to measure its real strength. Next Article » The Italian Gas Market: What Future with the New Italian Government?